TEC Awards nominations are made by a panel of industry professionals and voted upon by members of various professional organizations and audio industry websites. 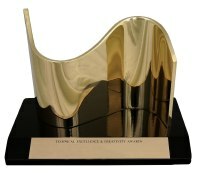 The awards are divided into two categories: Technical Achievement and Creative Achievement. Through its Hall of Fame, the TEC Awards honors the pioneers of audio technology and the music industry’s most accomplished producers and audio technicians. The Les Paul Award pays tribute to musical artists and others whose work has exemplified the creative application of audio technology.